One week in, I have never been more grateful in my life. I have discovered that as I focus on the good (despite the *bad* moments) gratitude is the ladder that helps me climb out of a hole. Not a cure-all, sure; there's no magic bullet - I am, after all still ME. Wherever I go, there I am. But in the moments that would usually trigger a spiral downwards, gratitude has been the life preserver, flung out to stop me being sucked into the negative vortex. Grateful for online shopping, complete with App, which lets me sit by the fire and click stuff, instead of facing a teeming supermarket. Grateful for TIMING. Today my shopping arrived mere moments after I returned home. I was expecting to arrive and find it piled on my porch (I was late) but no. I had just walked in the door and stuffed my feet into my slippers when there was a knock at the door. Ahhhh the shopping. perfect timing. Love it. Grateful for a leakproof house on this rainiest of days. I mean, what is nicer than to be inside warm and cosy with the rain drumming on the roof? Grateful for being warm and dry on a cold wet day. Grateful that at dinner time I have something to cook for my family. I don't have to worry where my next meal is coming from. I am blessed with full cupboards. That is something not to be taken for granted. Grateful I started this journey. Grateful that a week on I haven't missed a day. I am sticking at something. Go me. If you want to join in with The Grateful Project, grab a notebook and pen and just start writing down something every morning that you are grateful for. 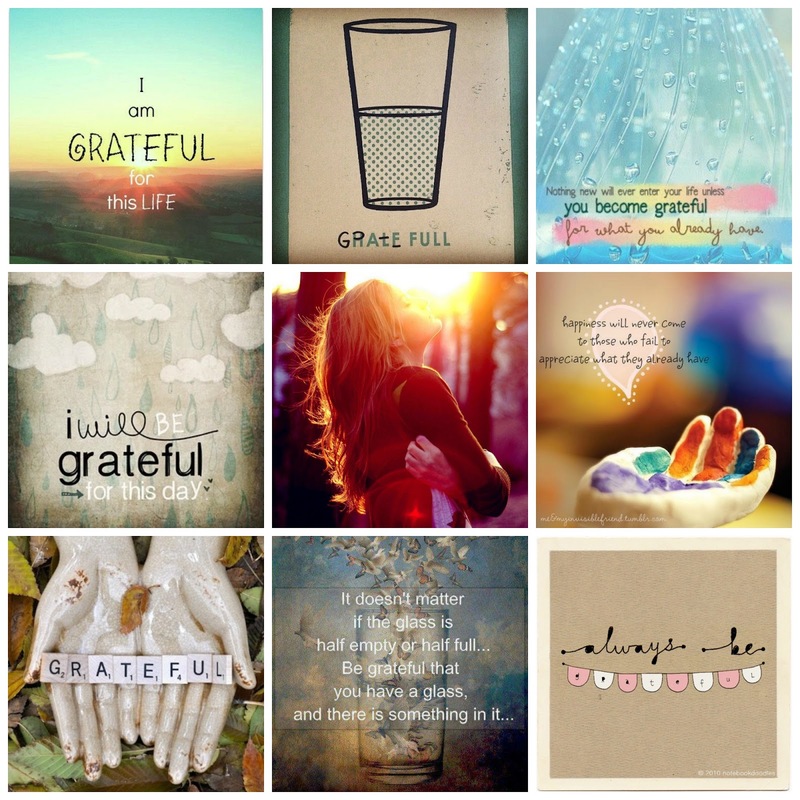 To connect with others who are doing it you can use #thegratefulproject on Twitter and Instagram, or leave me a comment here on my blog. I've also started a Grateful Project Board on Pinterest.